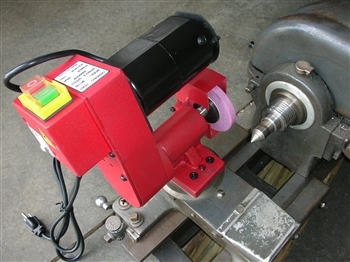 NEW FROM MYMACHINESHOP.NET ATLAS CRAFTSMAN 10-12 INCH LATHE DIRECT MOUNT TOOL POST GRINDER. 100V 6000 RPM MOTOR. COMES WITH ADDITIONAL WHEEL. TOOLS AND MANUAL. EASY TO USE. SIMPLY REMOVE YOUR COMPOUND AND UPPER SWIVEL AND MOUNT THE ATTACHMENT ON THE LOWER SWIVEL POST. CAN BE EASILY ROTATED TO ANY ANGLE FOR YOUR NEEDED USE. 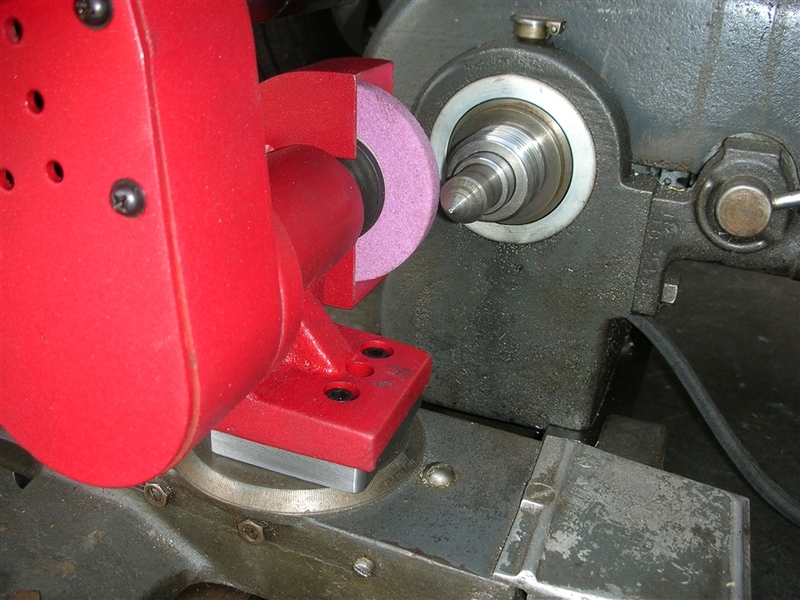 GREAT FOR TRUING CENTERS, GRINDING TOOLING AND PARTS. PLEASE SPECIFY IF YOU HAVE A 10 OR 12 INCH LATHE WHEN ORDERING. 12 INCH LATHES NEED AN ADDITIONAL 1 INCH SPACER TO KEEP THE CENTERLINE OF THE WHEEL INLINE WITH THE SPINDLE. MOUNTS IN SECONDS.